It has been sixteen years since our previous communication. …and thus begins the 121 new clues, from two of the original authors of The Cluetrain Manifesto. The original manifesto, first published in 1999, had a great influence on me, and helped set the direction of much of my career since. 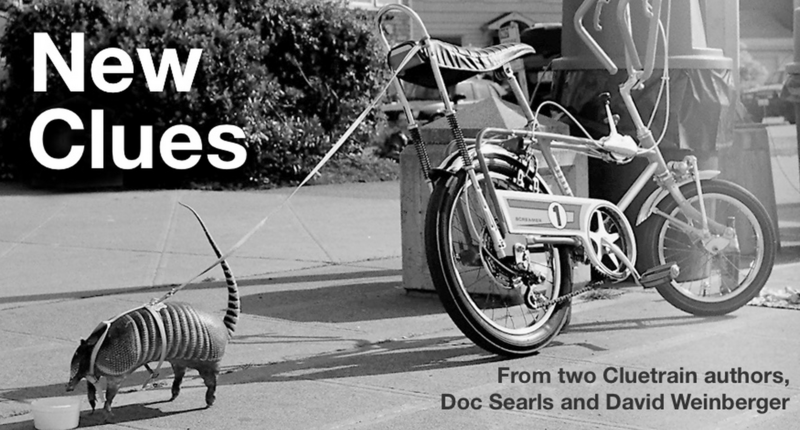 The new clues, published this week by Doc Searls and David Weinberger, jumps us forward by 16 years to the internet that we have today. I hope you chose to read it for yourself.